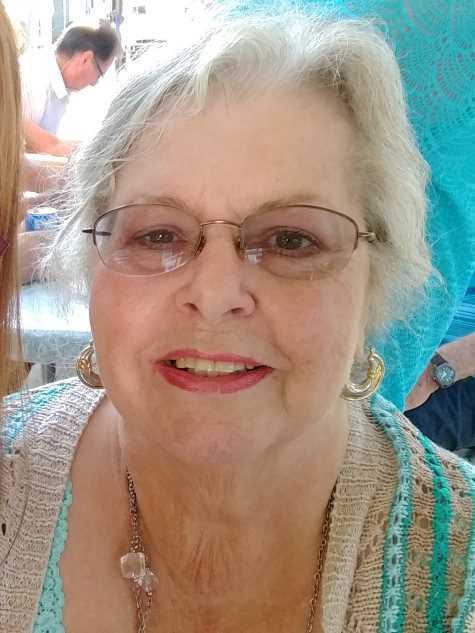 Virginia A. Goodnight (nee Billy) age 69, of Madison, passed away peacefully at home, surrounded by her loving family on Wednesday, April 10th, 2019. Virginia was a passionate animal lover, especially for her two dogs Sophie and Rose, and her bird Thor. She enjoyed spending her days outdoors, bird watching alongside her koi pond. Flowers, the soothing sounds of nature, sunsets, and dragonflies were just a few of the things she loved. Practicing the guitar was another hobby of hers. Virginia was an incredibly talented artist, leaving behind a few beautiful pieces for her family to enjoy. Virginia is predeceased by her parents Frank and Ada Billy, sister Linda Murray, and her grandson Johnathan Coughlin. She is lovingly remembered by her three beloved children Richard (Tina) Goodnight, Brandy (Steven) Smith and Crystal (Jake) Head; seven grandchildren, Brooke (Josh) Rivera, Courtney (Justin) Taylor, Veronica (Stephen) Paranish, Trinity Head, Nathan Goodnight, Jameson Ramsey, and Romeo Smith; three beautiful great-grandbabies, Kennedy Cimino, Evianna Grano and Charlotte Munshower; four siblings Thomas (Darlene) Billy, Carey (Vicki) Billy, Gloria Klug, Lenny (Patricia) Cunningham and many, many more loving family and friends. The family would like to thank Hospice and Heartland Healthcare. Visitation will be held at Slone & Co Funeral Directors, 13115 Lorain Ave, Cleveland, Ohio from 6-8 pm Tuesday, April 16, 2019. Graveside services to be held at a later date in the family cemetery. Flowers are always welcome, as Virginia loves flowers. Monetary donations may be sent to Goodnight Cemetery Fund at 2958 Brohard Rd. Brohard, WV 26138 to help with continuous maintenance. You are at peace now, Mom. Finally back with Johnathan, Barb, and Grandma and Poppy. Please watch over JJ and Trinity. I love you so very much, Mom……..
Virginia I love you with all my heart, you are a wonderful lady and a beloved sister, I know that you are smiling down on all of us with a loving heart. I will be here for the kids if they ever need me, you know how much I love them. One day when it’s Dianna’s turn to enter heavens gate, I know you will be waiting with open arms to help lead the way for her. She really took care of you and her love for you kept us all from going crazy. How beautiful heaven must be, and now it shines even more. Prayers to all of Virginia’s family and friends. May you rest in peace now Virginia. You were a very soft spoken and sweet person. You will be dearly missed. Sending my deepest condolences. May she rest in eternal peace. For a lovely niece who will check on us from her heavenly home.